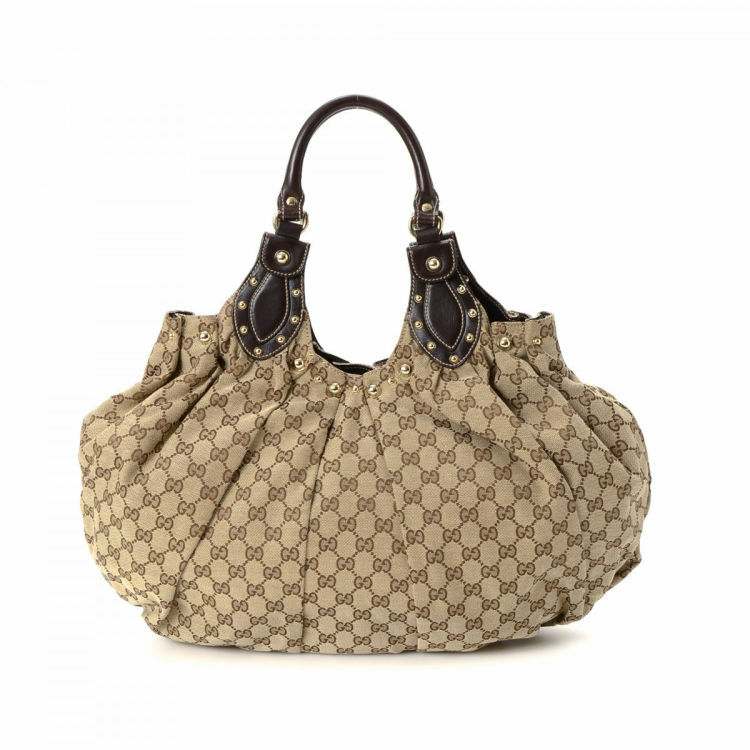 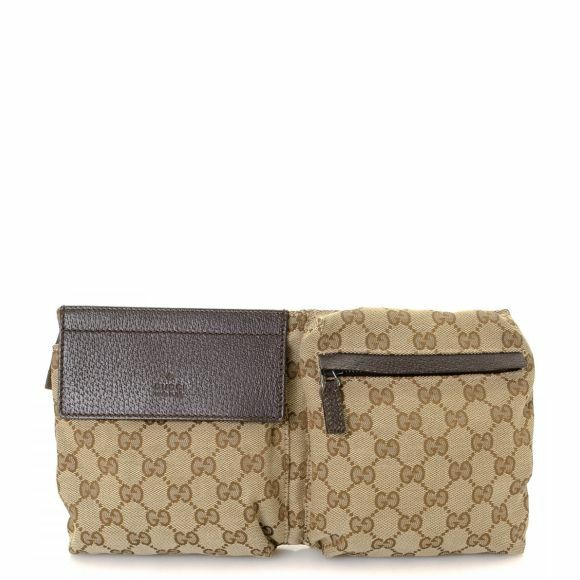 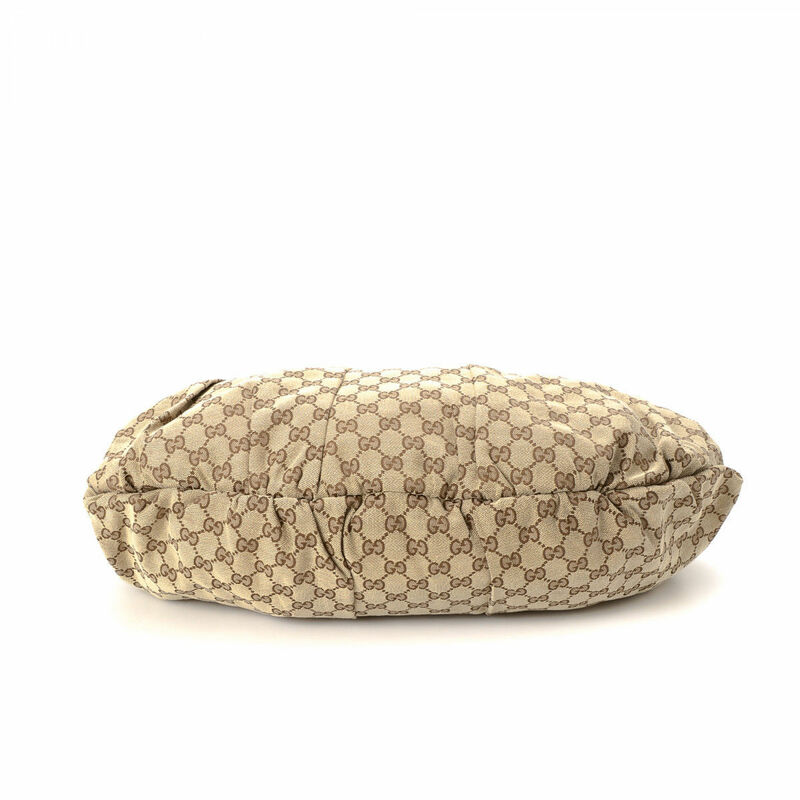 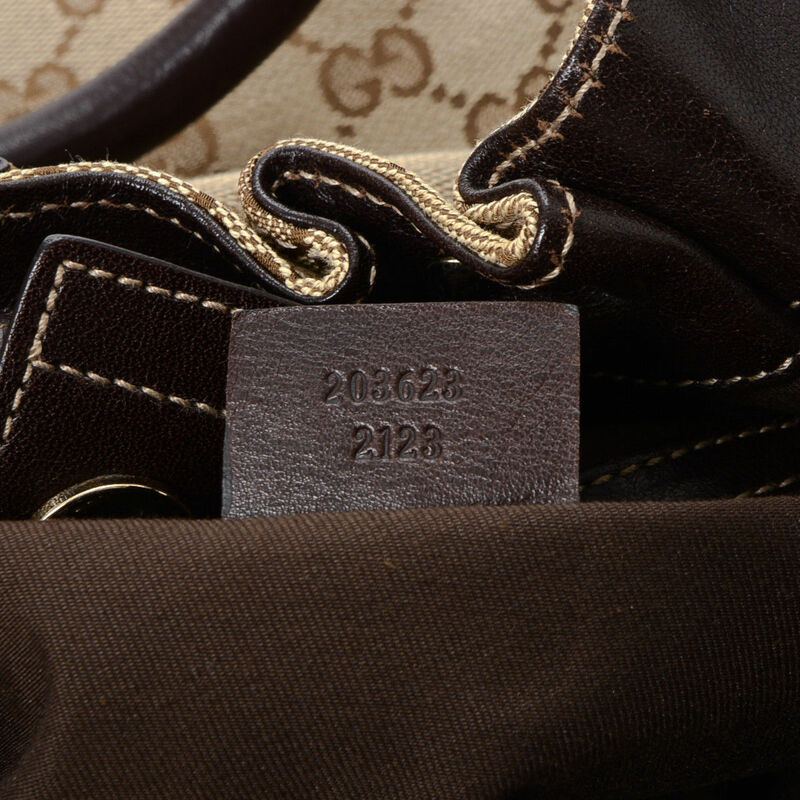 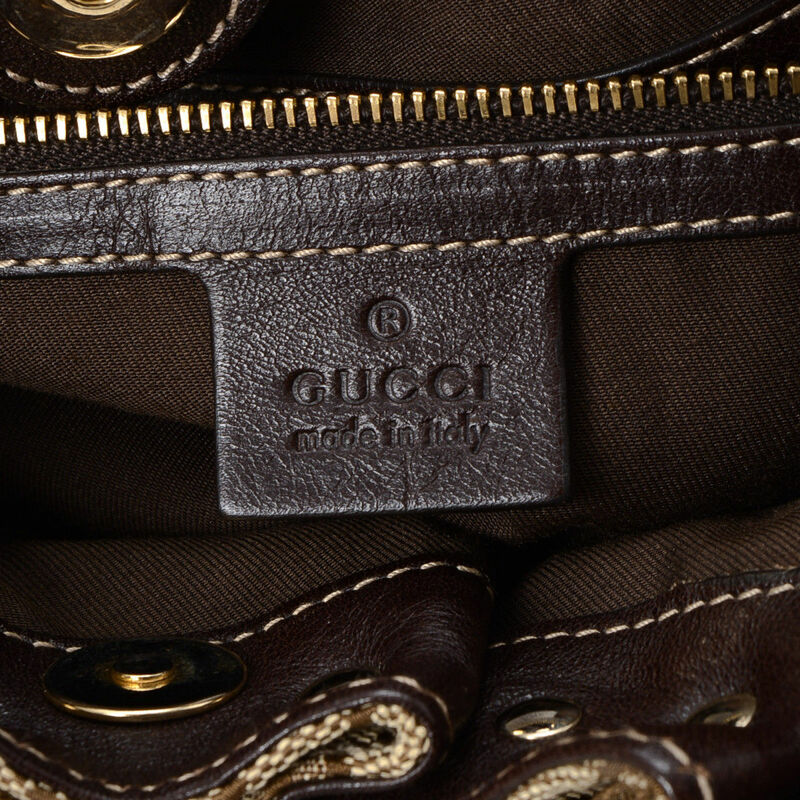 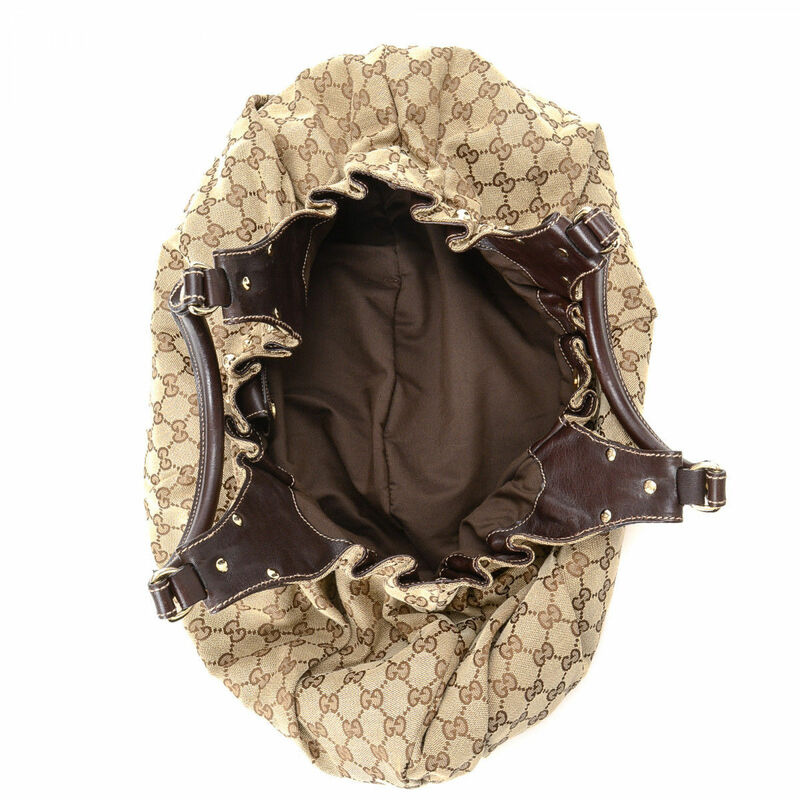 The authenticity of this vintage Gucci Studded Pelham shoulder bag is guaranteed by LXRandCo. 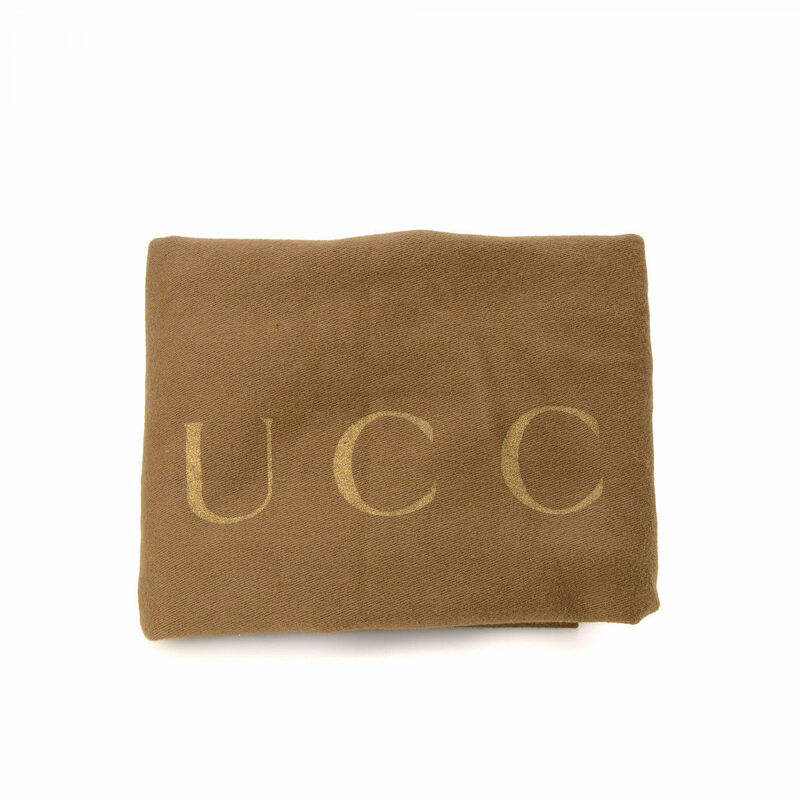 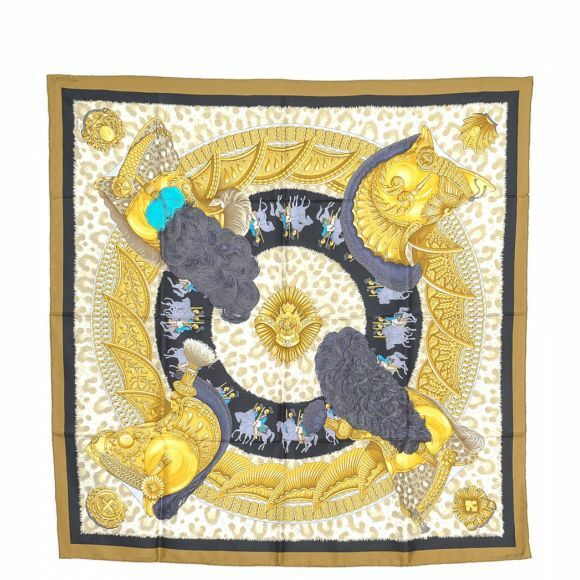 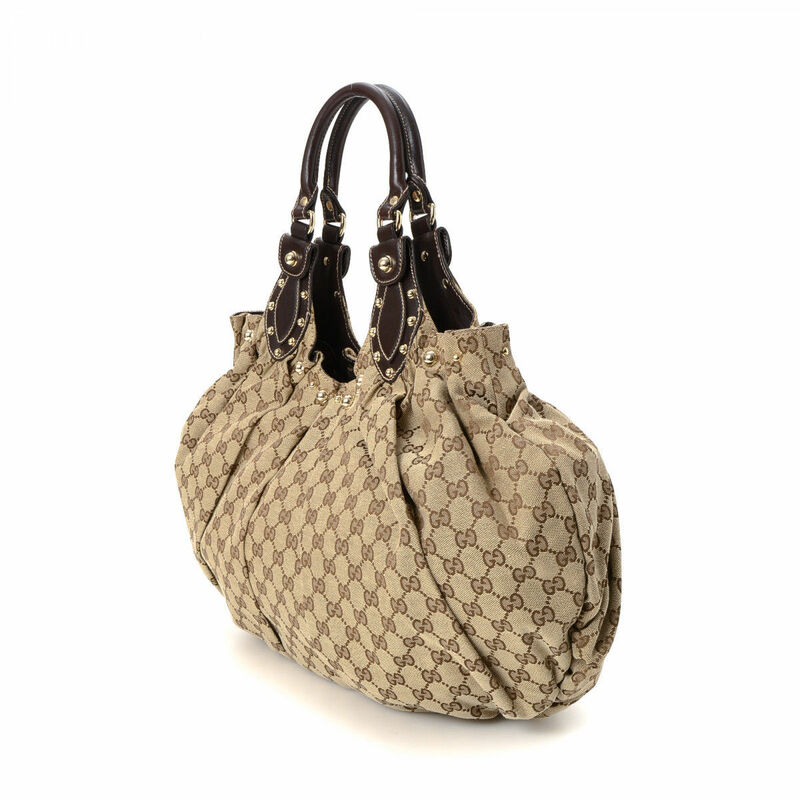 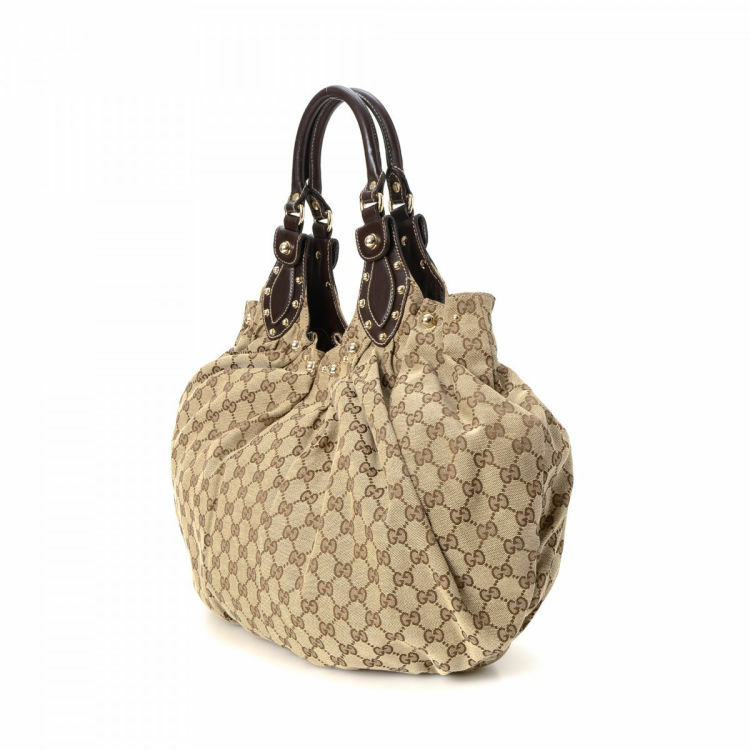 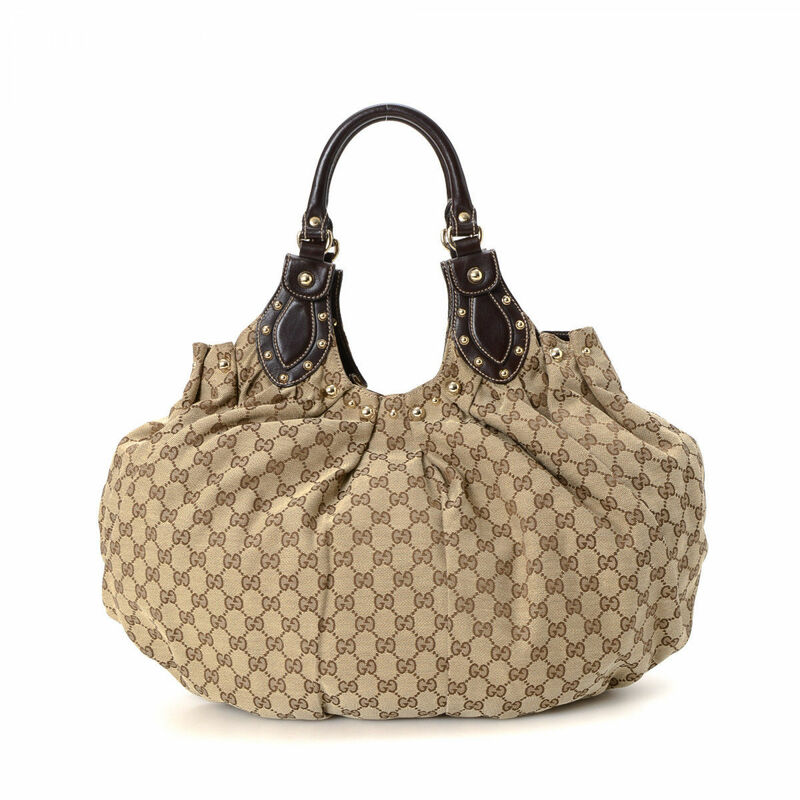 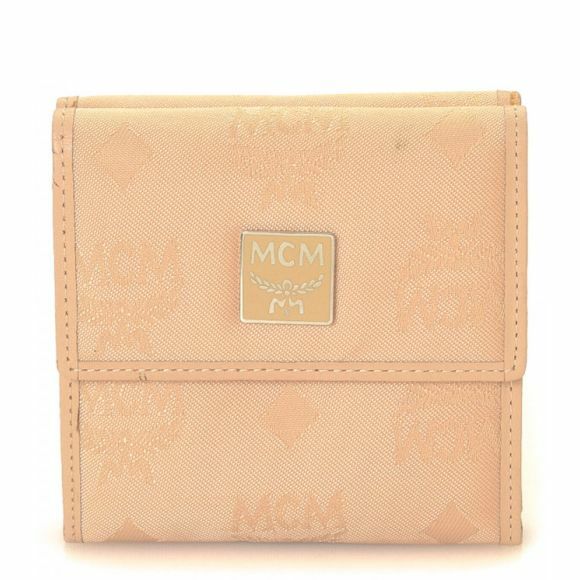 This signature purse in beautiful beige is made in gg canvas. 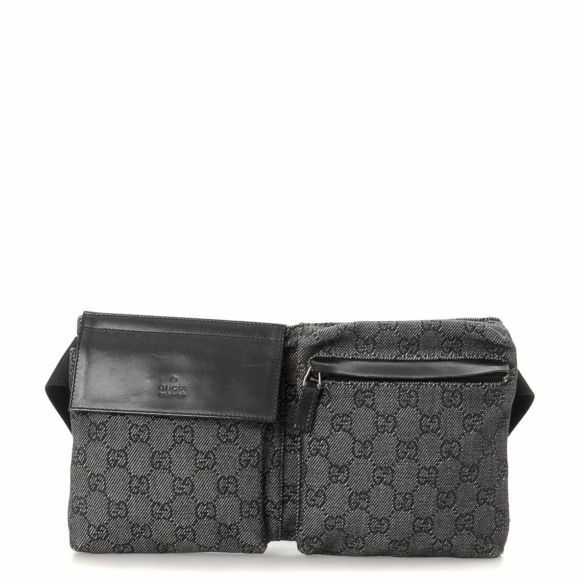 Description The authenticity of this vintage Gucci Studded Pelham shoulder bag is guaranteed by LXRandCo. 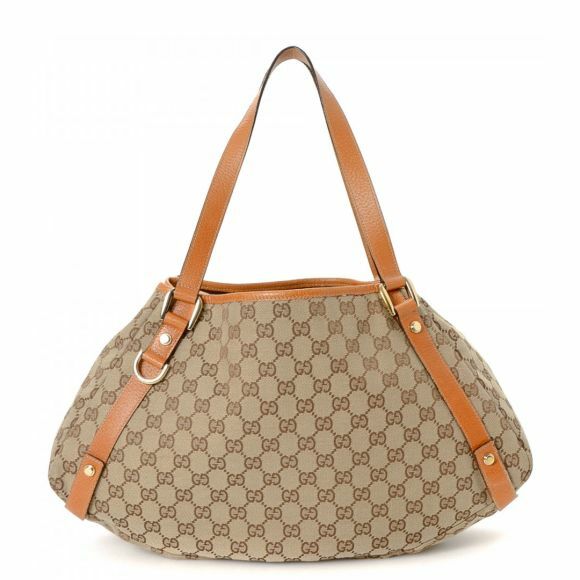 This signature purse in beautiful beige is made in gg canvas.